I promised some guys that I will do a small tutorial showing how to root and install a complete stable rom for the HDC Galaxy Note 2 Samsung Clone. There are instructions all over the internet and some are not in English so I have put the files in one place. This rom is from the ZOPO ZP900S or ZP900 lite phone and is identical to the HDC Galaxy Note 2. You can flash Jelly Bean on it when they release if for the the ZOPO or Hero phones. Turn off the phone and remove the battery. Windows will ask for the driver. Unzip the downloaded driver file and install the correct driver. Download the third file here: http://www.4shared.com/zip/iQ0eD_3y/HDC_Note2_ZP900S_ICS_HW_201208.html. 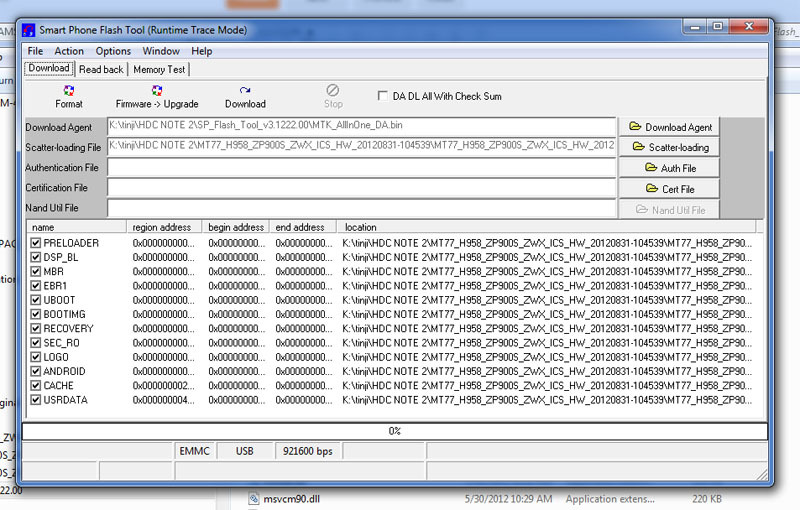 This file is the largest file which contains the main rooted firmware including CWM recovery. Unzip this file. Switch to the program flash_tool.exe whch is running and open scatter text file found in the downloaded unzipped rom directory. By default all check boxes on the left should be checked. Remove battery and replace then plug USB cable to phone. Windows should autodetect the phone and activate the driver. The flash tool will start flashing your phone. When finished, a green circle in a window should appear. Unplug and start your phone. You are done. I will not be responsible for bricked devices. Proceed at your own risk. I will also not provide support for the uploaded ROMs. Please know what you are doing before attempting this operation. Thank you very much for the explanation and your time. I have a question. I heard that the Hero 9300+ is the same as the HDC Galaxy Note 2 and the ZOPO, so if I get a Hero 9300+ should I be able to flash it following this same instrucions? I also heard that the back camera won't work with the Zopo's rom in the Hero. Is the same with the HDC? And finally, if there is no still Jelly Bean, what are the advantages of this rom over the one in the HDC or Hero? Thanks! These phones are identical. The zopo rom works well on the hdc and the back camera does work but I can't be sure about the hero i9300+ but in theory it should work. 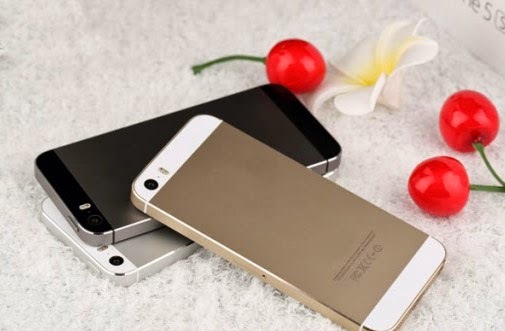 I have heard that the zopo and hero are from the same company, zopo for china domestic market and hero for export. The reason I flashed the zopo rom is because of root and custom clockworkmod recovery built in. If you check the zopo online store they advertised that jelly bean will come but when I do not know. Jellybean is not such a big update. Only google now is the major feature. If you have root you can flash a modified google now for ics from a xda developer. I will include the link in a new post. Hi! I got my phone flashed with your rom, and now screen is always black, although phone works. I flashed again with other roms but nothing! Please how can i get my screen working? ?..How can i flash the official rom? Are you sure you got the correct version. There is another phone Galaxy Note 2 Pro version but it is not the same. I do not have the original ROM but I will look for it and update this page if I find it. Maybe you can try flashing again. Sometimes a second flash can work. Hi! i flashed my phone with this rom sussesfully, but my back camera wont work. what do you think about it, do i have a different phone than yours? it supposed to be hdc galaxy note 2.
do you think this rom http://translate.google.com/translate?hl=fi&sl=es&tl=en&u=http%3A%2F%2Fwww.movilesdualsim.com%2Fforo%2Fthreads%2F15903-ROM-DRX-v1-7-BETA-ICS-4-0-4-ZP900-y-clonicos-de-1GB-y-512MB will work on my phone? As long as you have cwm recovery and backed up your ROM, please go ahead and try. You may have got a phone with a different camera. Maybe a newer revision. No you cannot unless you want to brick the phone. Thank you. And another silly enquiry from this new android user. Are there any other alternatives for rom flashing other than ZOPO. Such as Paranoid Android? No you can't flash any other ROM besides the one made specifically for this phone. Have i understand correctly. now when i have sussesfully installed zopo rom on my phone, i would like to try some custom roms i wound. i have to install cwm, do i install it with flashtool as i installed that zopo rom? Do i install those custom roms with cwm or flashtool? can i do backup with cwm? when i have installed cwm and i have backuped my rom, can i try install different custom roms with any concerns? if something goes wrong in the rooting, i can allways go back to the old one? Thanx! Turned out that, after i flashed that zopo rom, i got cwm on to my phone. managed to do backup and tryed to install that drx rom with cwm. everything went well. So far so good,i will report here if there comes any problems with that rom.